Phuket – the Pearl of the Andaman. Synonymous with white sand beaches and inviting clear turquoise waters, this island in Thailand is a choice beach holiday destination for people all around the globe. However, as with most beach holidays, getting around can be quite the nightmare. The last thing you want is to be stranded with your bags and no way to get to your hotel. Lucky for you, we’ve pulled together this quick guide to make your next Phuket holiday an absolute breeze! Tuk Tuks are the red vans you see lining the Phuket streets and they are the most common form of transport in the city. 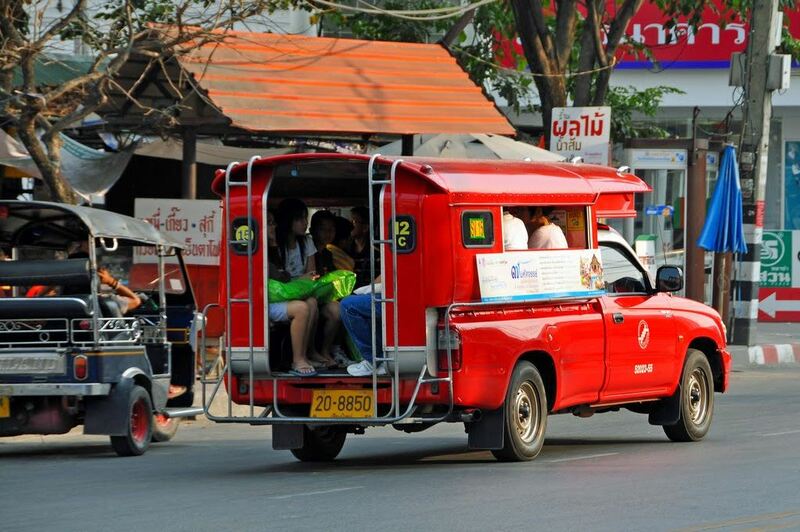 If you plan on taking a tuk tuk, agree on a price before boarding the tuk tuk as they may implement flexible pricing. You also need to be specific on the destination that you want to go to. Furthermore, be warned that these drivers may take passengers on unscheduled tours where they may earn a commission. If you’re travelling with family, we wouldn’t recommend these vans for anything longer than 30 minutes because they can be pretty uncomfortable. 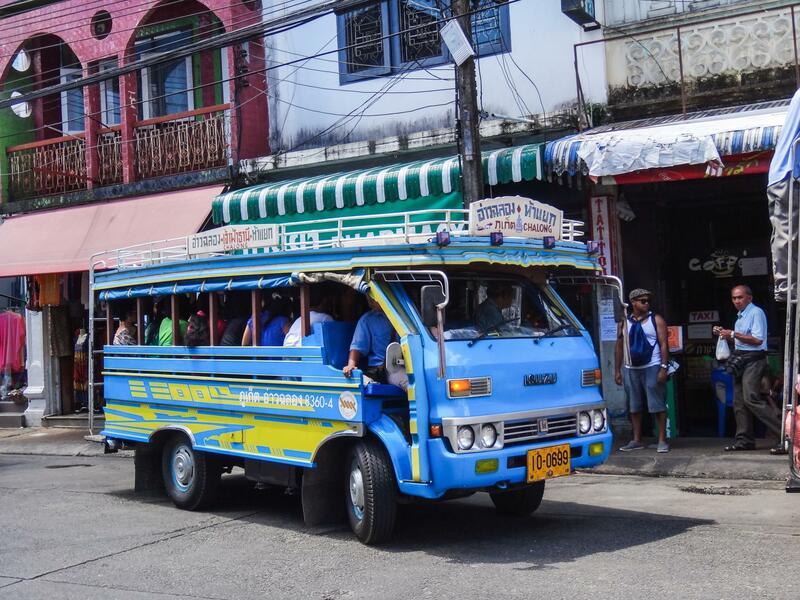 In addition, unless you’re staying in busy resort areas like Patong or Karon, it may not always be easy to flag a tuk tuk. There are taxi services available from the airport but forums have suggested that pre-payment is required before you are allowed to board a taxi. Expect to pay anywhere from THB500 (USD15) to get from the airport to Patong. 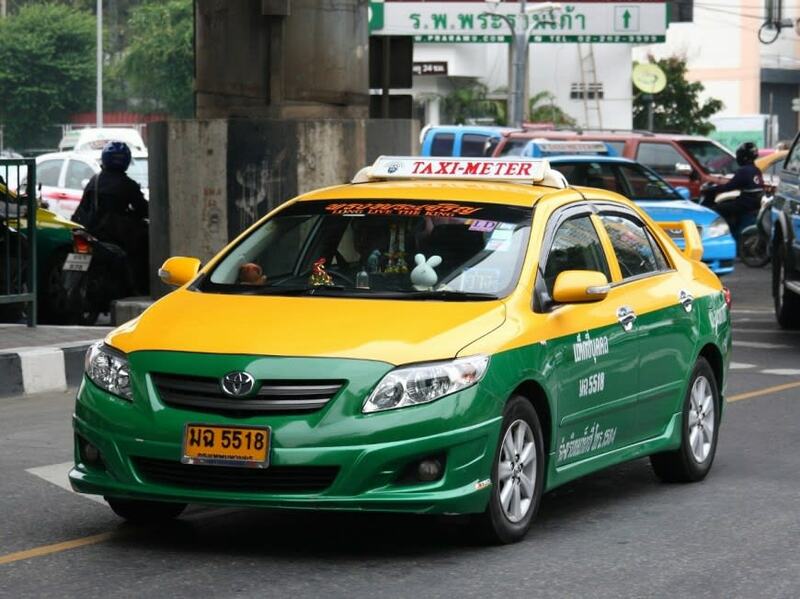 Most passengers opt for a flat fare to avoid a running meter in the event of traffic jams. Whichever method you choose, it’s good to read up on the standard prices from the airport to your hotel so you don’t get ripped off. Do also expect to bargain for your fare in advance as these air-conditioned taxis usually charge the same way tuk tuks do. Local open-air buses run between 7am to 6pm and have the destination written outside of the bus. There are no designated bus stops so you can alight anywhere along the route. However, be warned that your journey time may take longer than expected especially if there are many others alighting before you. Do also note that the buses do not run after 6pm so remember to plan your schedule accordingly! If you don’t want to go through the hassle of navigating the streets of Phuket yourself, why not opt for a private car charter? You’ll definitely get to escape from the typical spots flooded with tourists and discover Phuket in all its glory! Furthermore, a private car charter might be more cost efficient especially if you plan to visit many destinations in a day. You can choose from a van (up to 10 people) or a car (up to 3 people) for US$67 and US$84 respectively for a full day’s service. Multiple taxi fares can contribute to a hefty transport fee at the end of the day, and of course nothing beats the convenience of having your own vehicle and a peace of mind! Klook your private car charter and the driver will pick you up straight from the hotel and drop you off right at your selected destination throughout the day. 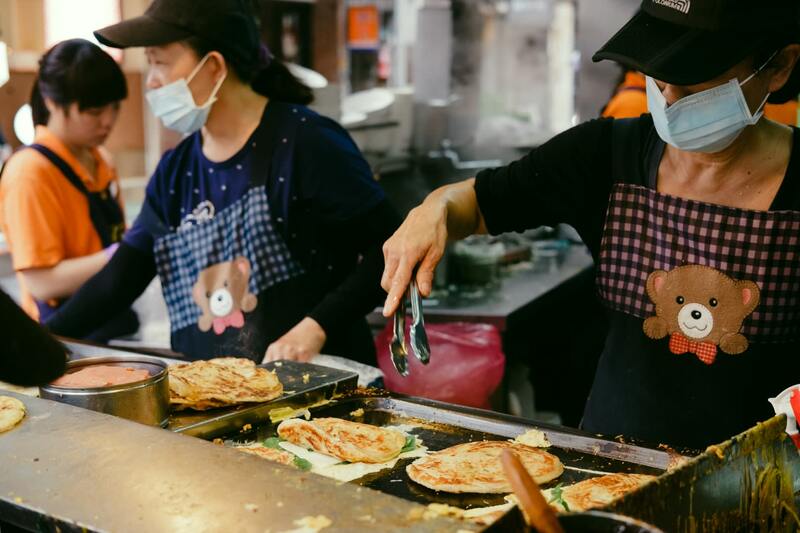 If you prefer an even more local experience, you can opt for an English-speaking guide or Chinese-speaking guide for an additional fee. After all, no one knows Phuket better than the locals right? 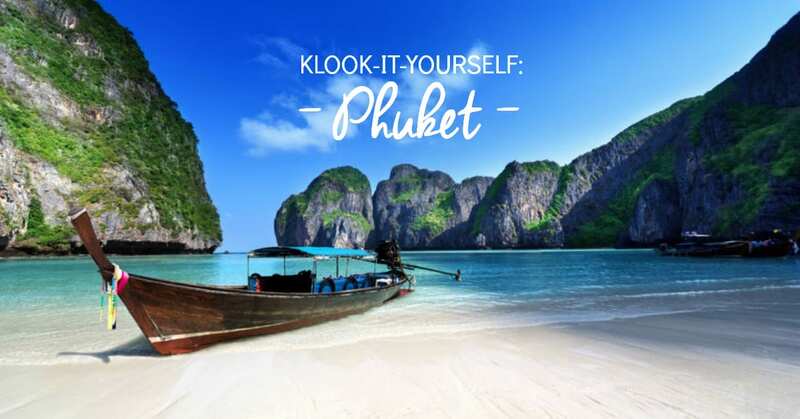 Klook me a custom tour around Phuket! Want to get a tan and make the most out of the beaches? Visit from March to May – the hottest months with temperatures in the mid-thirties! 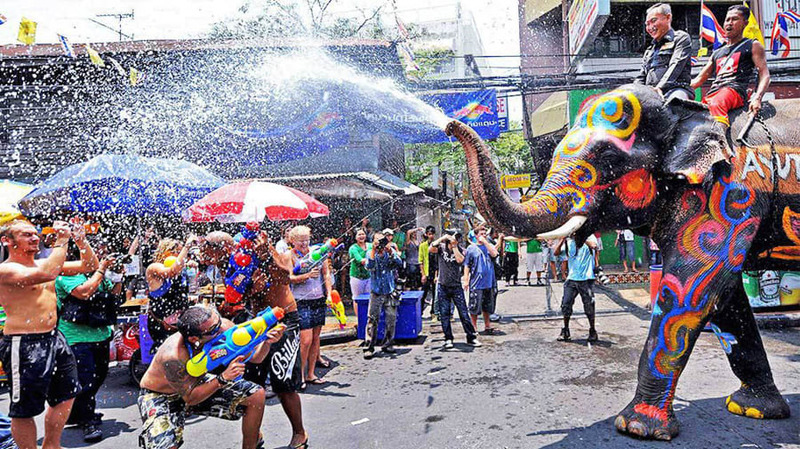 One of the best reasons to visit in April is for Songkran or the Thai New Year, where you could be hosed down with water just by walking on the streets! So arm yourselves with those super soakers and get ready to have a splashing good time! If you want to beat the heat, visit from November to February where the temperatures range from 23 to 30 degrees. This is the perfect weather to spend the day lazing on the beach and partying till the wee hours of the morning. 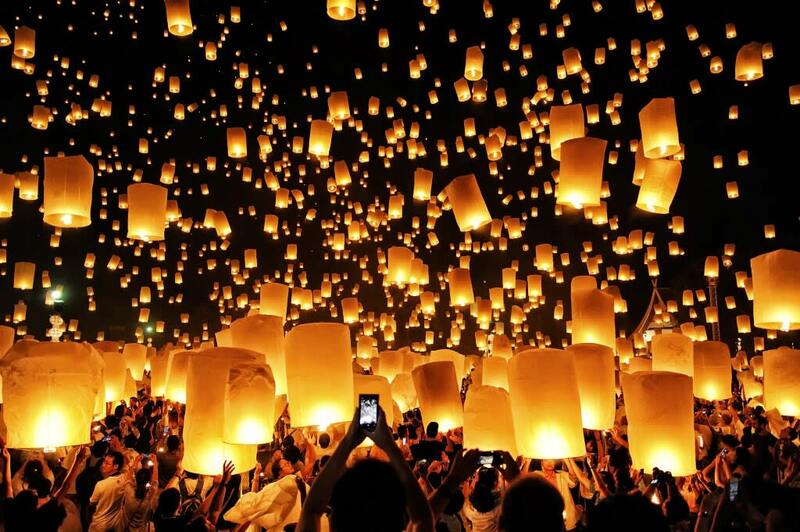 In addition, visit in November for the famous Loy Krathong festival to catch the night sky light up with hundreds of floating lanterns- just like a scene out of Disney’s Tangled! Now that you’ve gotten your transport options settled, Phuket is yours to explore! 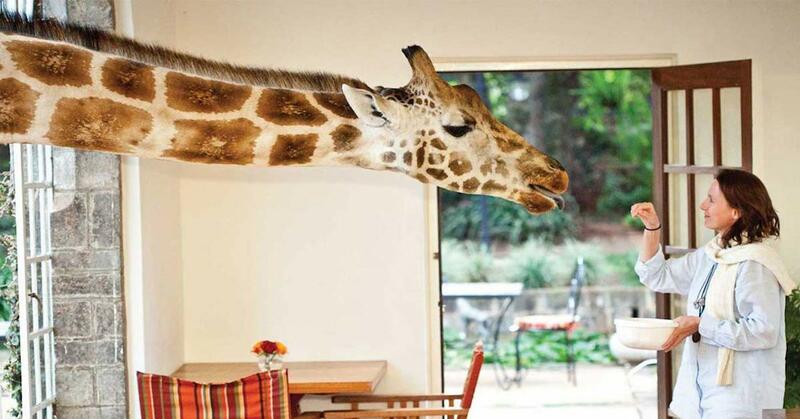 Here are some local highlights to add to your holiday itinerary. Who needs skyscrapers when you can have the same fantastic view from sun-kissed terraces! The sunset views from Patong’s rooftop bars are particularly breathtaking so just kick back and enjoy the view while sipping on your favorite drinks and munching on some tapas! 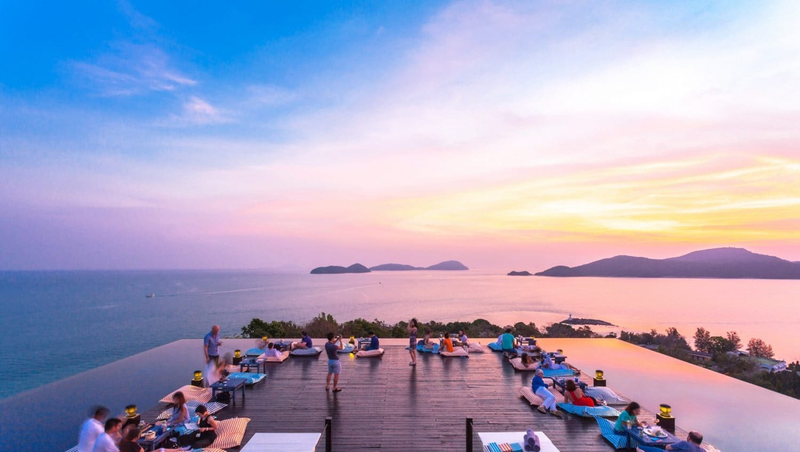 Baba Nest at Sri Panwa Phuket offers one of the best views with its 360-degree open deck surrounded by an infinity-edge pool! Toast to the sparkling Andaman sea as you watch the sun set. P.S. This would probably be a great way to impress your date! 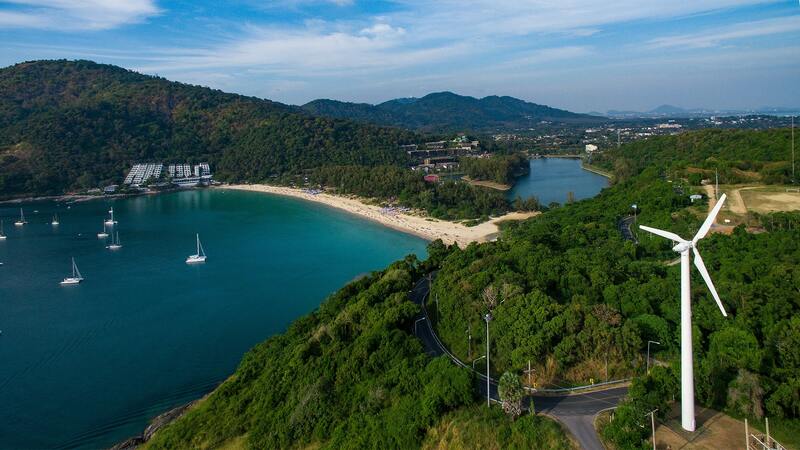 Located at Cape Panwa on the Phuket East Coast, away from the hustle and bustle of the city and the overcrowded Patong beach, you’ll be sure to enjoy a peaceful sunset! Don’t forget to reserve your seats if you plan on heading here! Remember, it is dangerous to drink and drive! Klook your private charter and be ferried to and fro Baba Nest and you can drink to your heart’s content! 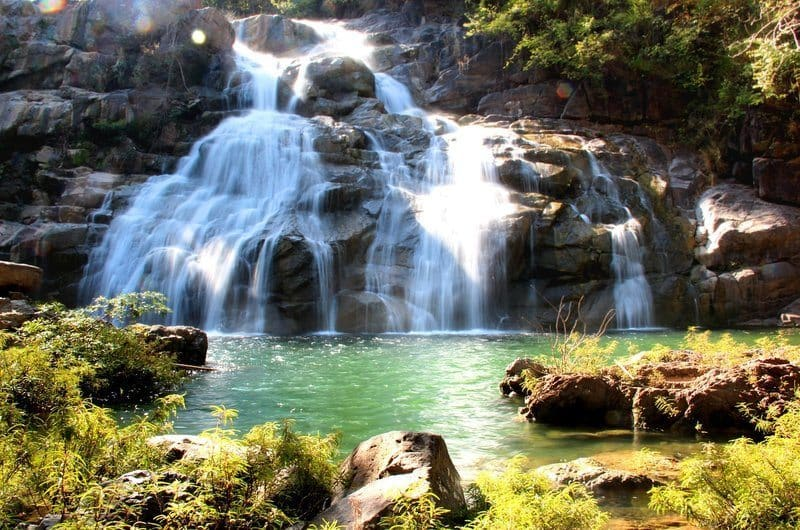 Phuket is home to many waterfalls worth trekking through jungles for! Escape from the salty beaches and take a dip in the cool fresh Kathu waterfalls. Expect a hard climb up to the top of the falls, but there are many drop pools along the way for you to take a break and cool off! Those not up for the tough challenge of hiking to the Kathu waterfalls, try the Ton Sai waterfalls instead! Found inside the Khao Phra Thaeo National park you’ll get to enjoy walking through lush greenery before cooling off in the fresh waters! 3. 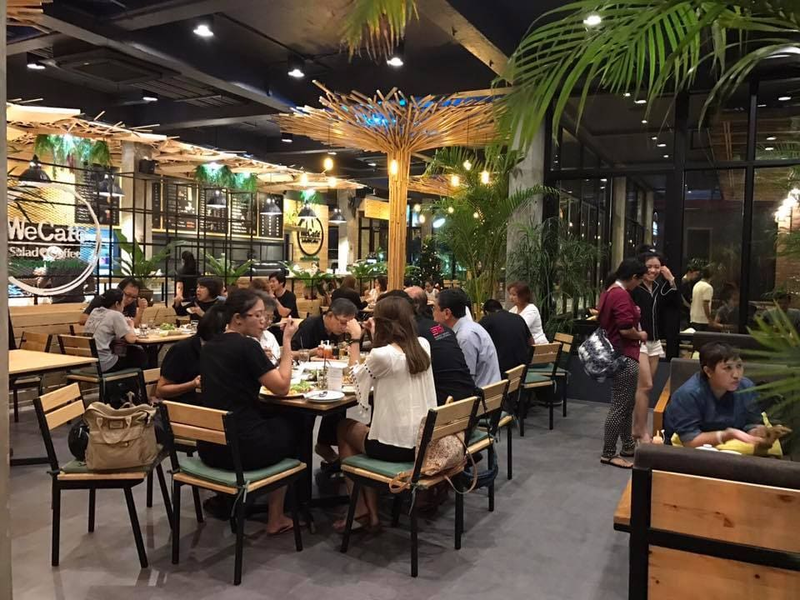 Go cafe hopping to find the best grub in town! Health eaters, vegetarians and vegans rejoice! Eating clean has never been so yummy. 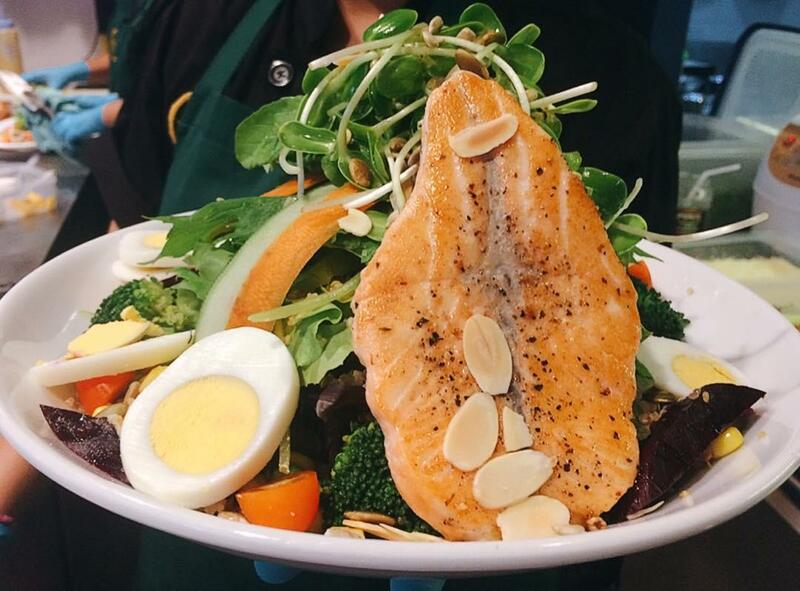 Refuel after a long day out and about with fresh organic produce at We Cafe! The highlight of the place is definitely the DIY salad where you’ll get the freshest choices-all grown in the hydroponic farm! Eating healthy doesn’t mean you can’t indulge now and then! 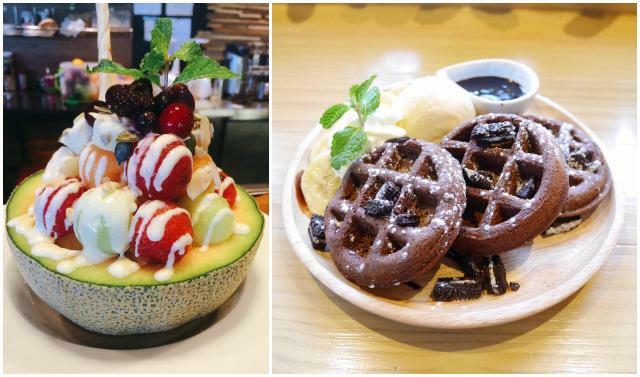 For those looking for something sweeter, opt for the fruit bowl, come served in a melon shell, it definitely makes for a great Instagram food picture! Looking for something heavier? Head to the The Tent where you’ll be spoilt for choice! 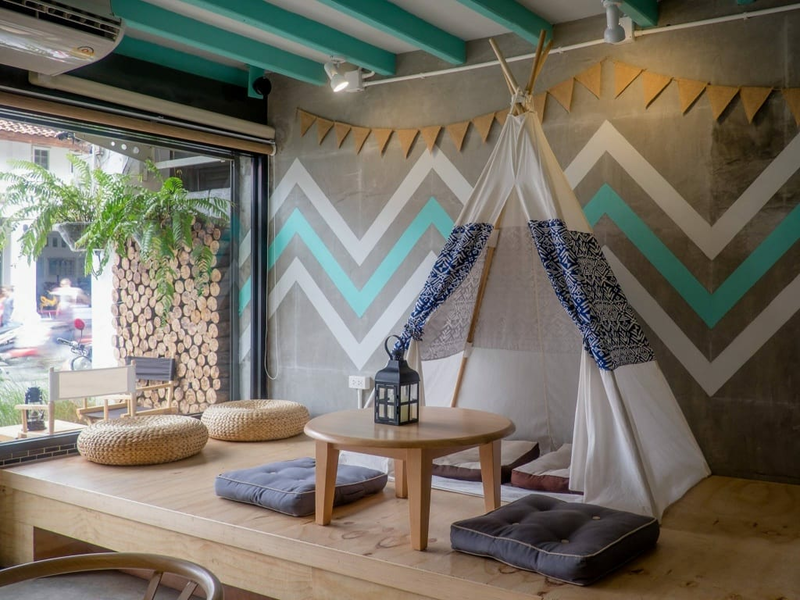 With a native american teepee inspired decor, this cafe offers all campfire inspired food from brownies, kebabs and hot chocolate. 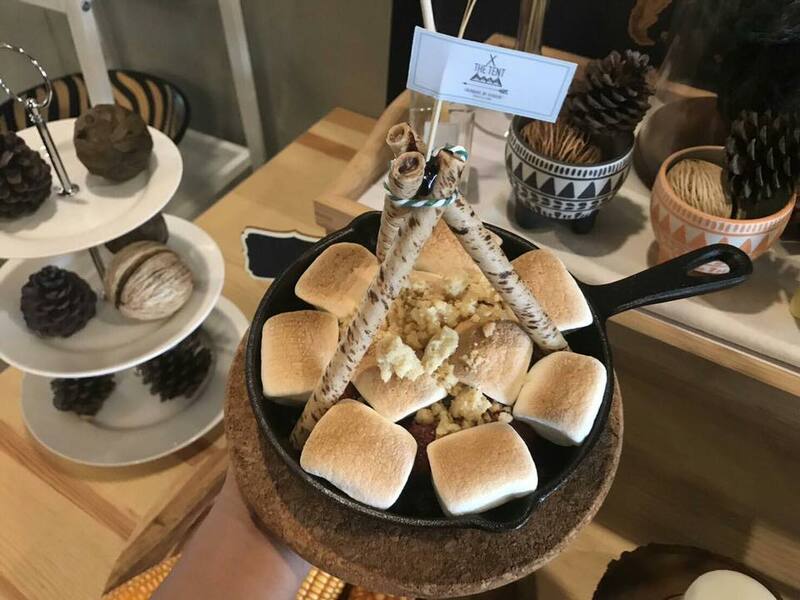 Of course, no meal is complete without dessert as no camping trip is complete without S’mores, you MUST try the DIY S’mores! In addition, you can toast the marshmallows at your table! It’ll surely leave you screaming for s(ome)more! When you think of Phuket, you immediately picture beaches. We all know Patong beach is now crazily overpopulated and it may not be the cleanest or nicest beach. To escape the crowd, head to Banana Beach! Banana Beach is surely one of Phuket’s best kept secrets! With clear blue waters for swimming or snorkeling and a few masseuses waiting in the shade to give you a massage as you lay on the sand, it is definitely a tropical paradise. The beach can only be reached either by a short jungle walk or by longboat from nearby beaches. If you don’t mind the extra effort,it’ll definitely be worth it! Relax and listen to the waves crash against the shore while waiting for the Sun to bid goodbye at Windmill viewpoint! Be sure to head up there before 5pm to get the perfect spot! 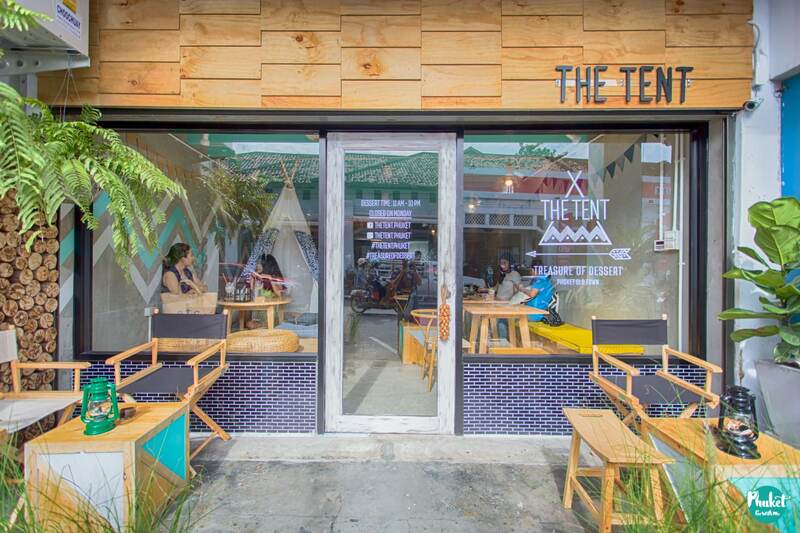 This place is definitely the perfect backdrop for those instagram worthy shots #wanderlust. 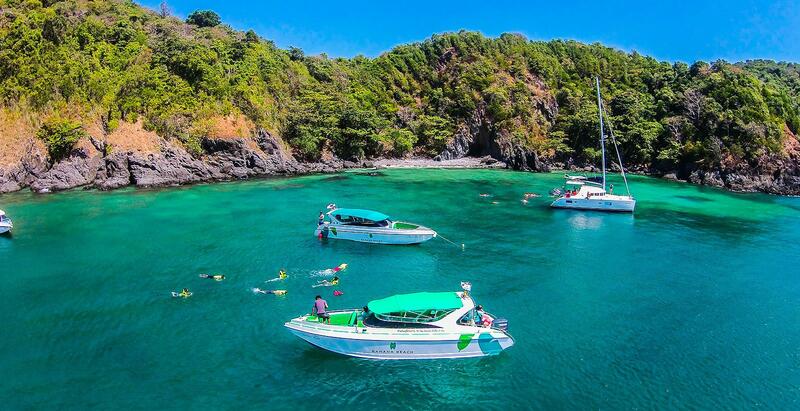 Whether you’re an avid marine explorer looking to dive or a beach bum who wants to laze on the beach to get a tan, with so many islands in Phuket, you’ll be spoilt for choice. For all the nature lovers, Phang Nga Bay is not to be missed. Paddle through the amazing Panak sea cave past the impressive limestone monolith, the James Bond Island. (P.S. it was the set of the 1974 James Bond movie!) Afterward, relax on the sand or even take a dip in the tropical waters at Naka Bay or Lawa Island. After all that paddling, you’ll surely be aching. Klook your Phang Nga Bay canoeing activity and it comes with a 2 way transfer from your hotel! In addition, you’ll get to enjoy a complimentary lunch on board the big boat! 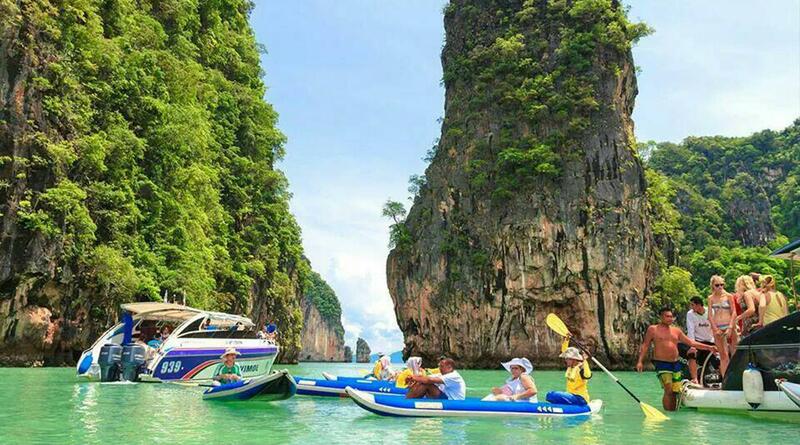 Klook me to the Phang Nga Sea Canoeing adventure! If you don’t wish to paddle yourself, opt for the big boat tour and you’ll still get to explore the caves on kayak, except, you won’t be the one doing the paddling! Kickstart the day swimming in the enchanting turquoise lagoons in Kho Panak! Enjoy a kayak tour of the famous James Bond Island and then refuel with a sumptuous buffet spread on board the big boat! Finally, end off the day sunbathing on the sandy beaches of Lawa Island! 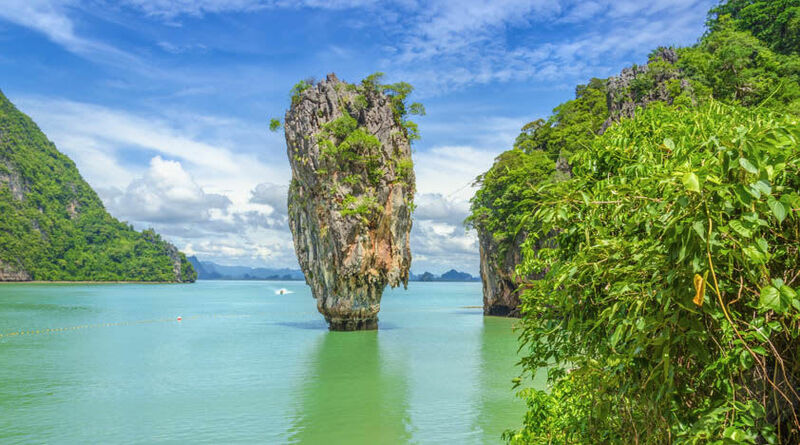 Klook your tickets to the Phang Nga Bay and James Bond Island and get a complimentary lunch and 2 way hotel transfer. You won’t want to miss the experience of dining while cruising on the turquoise waters for sure! Klook me to the big boat Phang Nga Bay tour! With palm trees swaying in the back and pristine turquoise waters, it’s no wonder these idyllic islands were in a Dicaprio blockbuster! What better way to explore the islands than via snorkelling in the clear blue waters? Discover the colorful marine life and coral reefs before heading for lunch along the beach! You’ll also get to see fascinating rock formations as well as the famous Viking Cave where most of the bird’s nest soup comes from! 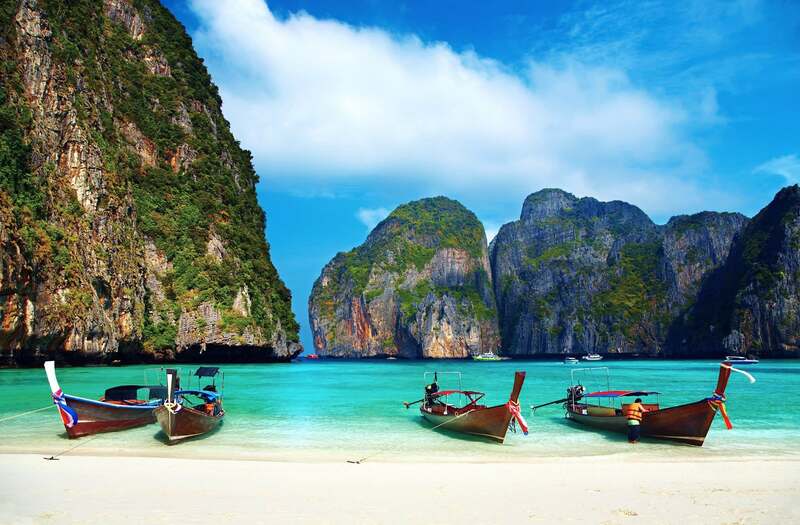 Klook yourself to Phi Phi Islands and get a complimentary round trip transfer from your hotel! You’ll be thanking us for that after a long day of fun in the sun! Klook me to Phi Phi Islands! Torn between wanting to play with these gentle giants but don’t want to support the massive proliferation of unethical animal businesses? Now you can have your cake and eat it too! The Elephant Jungle Sanctuary is home to injured, old and sick show or logging elephants. Not only will you get to interact with these elephants in their natural environment, you’ll be doing so ethically! 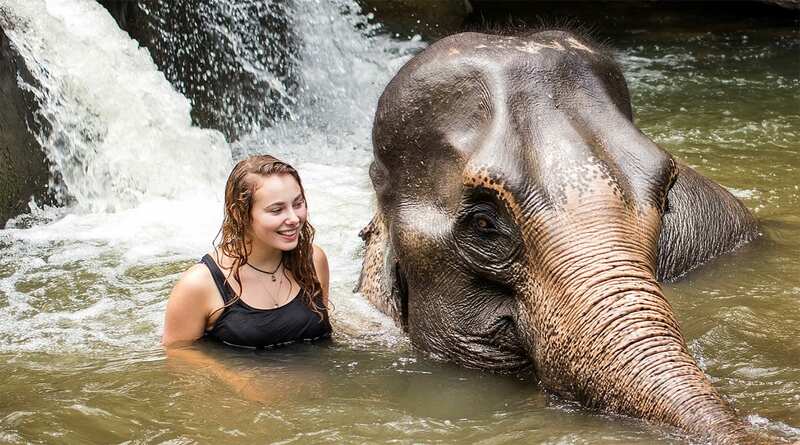 Get ready for some good clean fun as you enjoy the mud spa or bathe and wash these giants! Klook your Elephant jungle sanctuary experience and it comes with a complimentary 2-way hotel transfer! After all the hard work feeding and cleaning these giants, you’ll definitely be wiped out so rest up and enjoy your ride back to the hotel! 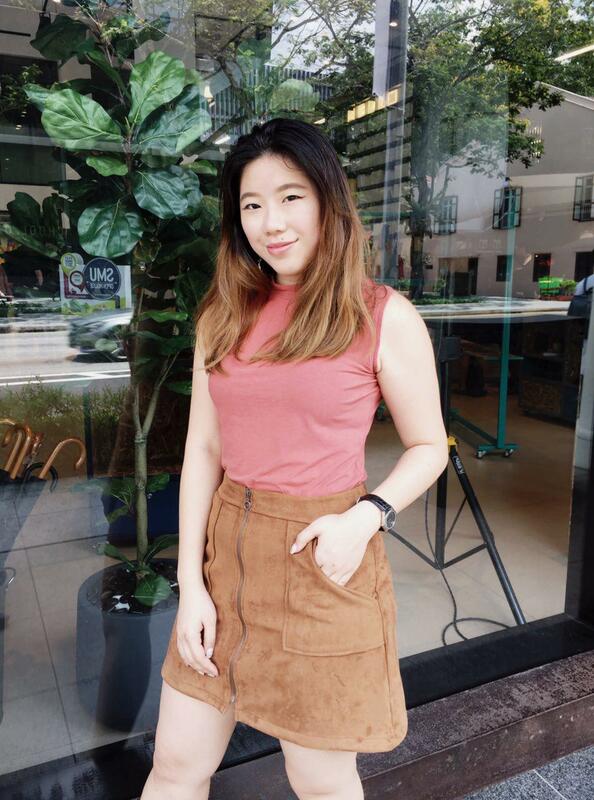 Klook me a day with elephants! Located in the province of Surat Thani which is a 3 hour drive from mainland phuket, escape from hustle of city life in the Khao Sok National Park! Keep your eyes peeled for wild elephants, bears,tigers and even marbled cats. In addition you’ll get to canoe down the Khao Sok river or opt for a traditional bamboo raft if you aren’t up for paddling! Klook your experience to the Khao Sok National Park and it includes a complimentary 2 way transfer and lunch! When the national park is so far away, you’ll definitely be glad you don’t have to find your own way back. Klook me to Khao Sok National Park! Treat yourself after a long day exploring the city with the ultimate pamper session at Let’s Relax Spa! Being one of the most renowned best value spas in Phuket, enjoy that #luxlife without breaking the bank! From body scrubs to massages, you’ll definitely find something to soothe your tired muscles. With 3 different branches located near major hotels, you’ll surely find one near you. Furthermore, you’ll even get a complimentary mango sticky rice dessert after your treatment! Address: Check out the locations here. Klook yourself a trip to Let’s Relax Spa and you’ll just need to flash your mobile voucher and get ready to be pampered! Getting around Phuket has never been easier! 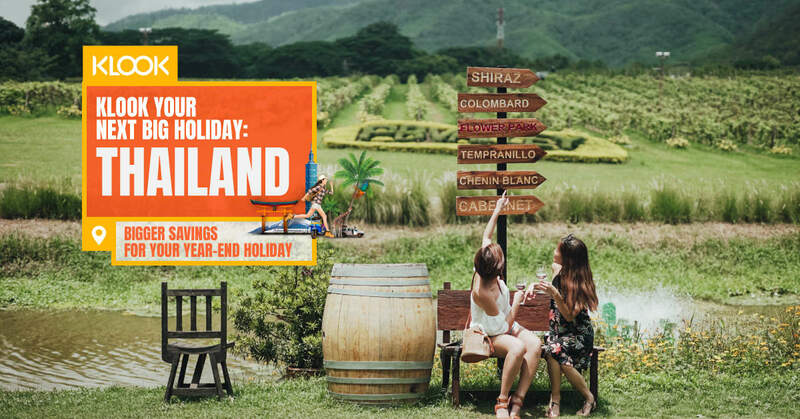 Get ready your passports, your Thai Bahts and check out what else Phuket has to offer with Klook here!